Maithri Vangala is Community Impact Manager at TechBridge, an Atlanta-based nonprofit organization which seeks to improve communities by bringing affordable technology & business expertise to nonprofit organizations on the frontlines of poverty. 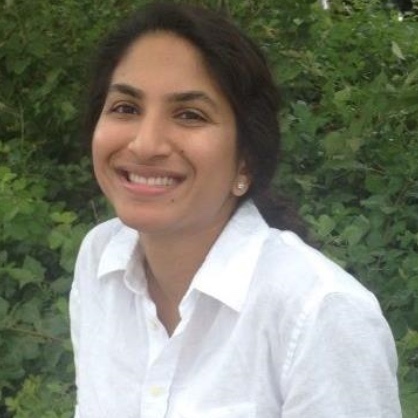 After joining the TechBridge team in 2015 as a Google Fiber Digital Inclusion Fellow, Maithri went on to to support the launch and growth of TechBridge’s Performance Measurement group. Maithri began her career in social impact conducting daily operations for a micro health insurance program in Las Delicias, El Salvador, as an associate editor at The Health Care Blog, a national publication covering the technology, policy and business of health care in the United States, and most recently coordinating an arm of the Grady Trauma Project, a longitudinal study at the Emory University School of Medicine which seeks to understand risk and resilience factors for post-traumatic stress disorder (PTSD) in low-income, urban communities. She served as SuperNova South’s 2015 Health Tech Track Leader and is excited to join the SuperNova South team once again this year. The collection of social impact experiences over the last six years have heightened Maithri’s passion for ensuring that all residents in communities across the United States are able to thrive. Maithri is also an independent journalist and civically active member at home in Atlanta. She received her Bachelor’s Degree in Biology from Georgia Tech.